I answer your Twitter questions such as: Why does Tim always sleep on the couch? When do you guys want kids? What would you do if you were a boy for a day? What's my biggest fear and more. 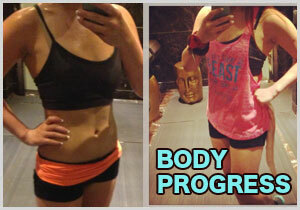 Some pictures of my fitness progress, our honeymoon destination, 4 weeks till the wedding and ... babies?